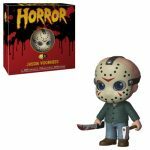 For years, horror icons have been featured in Funko's trademarked Pop! vinyl figure style, and now the popular collectibles company is bringing some of the genre's creepiest killers to life with charming, more detailed depictions in the new 5 Star line. 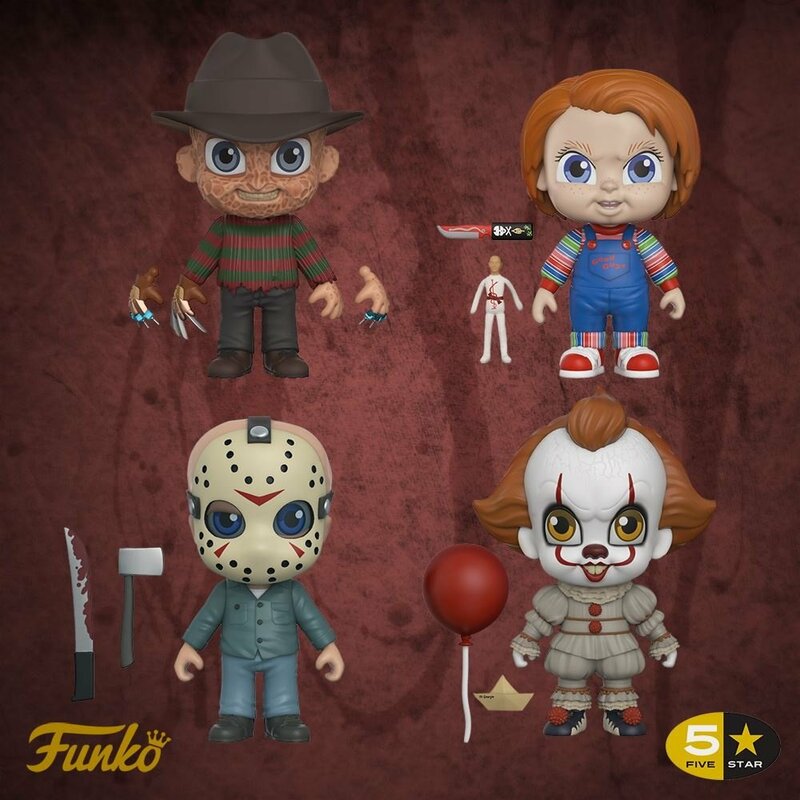 Coming to store shelves in time for the Halloween season this October, Funko's new 5 Star collectibles will feature Pennywise, Freddy Krueger, Chucky, and Jason Voorhees, along with accessories unique to each character (such as Freddy's syringe fingers or Pennywise's red balloon). From Funko: "The newly-launched 5 Star series is growing, but the latest additions might just give you nightmares. 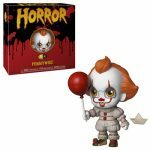 The figures are posable, allowing you to reenact their most terrifying moments and actions, and accessories include a paper boat, red balloon, claws and a variety of bloody weapons.